Moist Hydrating Cream Mask offers a nourishing and luxurious texture that is non-drying, deeply penertating and hydrating. 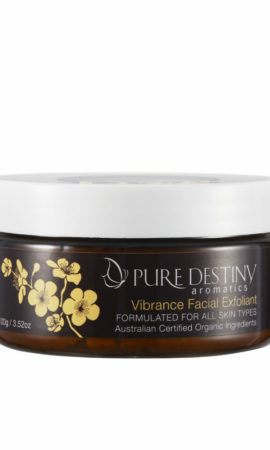 This blend of White Kaolin Clay, botanical extracts and pure essential oils has been designed to hydrate and protect delicate skin, while assisting cell renewal to retain suppleness and moisture. Rosehip and Centella Oils help delay skin ageing thanks to their regenerating and anti-oxidant properties. BENEFITS A nourishing, deeply penetrating and hydrating cream mask. Promotes cell renewal to retain suppleness and moisture. Protects and hydrates. SALON USE Apply a thick layer after facial massage with Rosehip oil and appropriate massage oil avoiding eye and mouth contour. Remove after 10 minutes with warm towels. HOME USE Apply thick layer on the face avoiding the eye and mouth conjure. Remove after 10 minutes with cotton pad and warm water. Can be used up to 3 times a week. ACTIVE INGREDIENTS: Lavender, Tangerine, Rose, grapefruit Seed Extract, Kaolin Clay, Almond Oil, Almond Kernel Oil, Centella Oil, Rosehip Oil, Vitamin E Tocopheryl Acetate, Vitamin A Palmitate. Ingredients:Aqua (Water), Vegetable Emulsifying Wax, Almond Oil, Vegetable Glycerine, Organic Sesamium Indicium (Sesame) Oil, Kaolin Clay 100% Pure Essential Oils of Citrus reticulata (Tangerine), Rosa damascena( Rose) Lavandula agustifolia(Lavender), Organic Butyrospermum Parkii (Shea Butter) Centella asiatica (Centella Extract Oil), Organic Cannabis sativa (Hemp Seed Oil), Organic Cacao (Cocoa) Seed Butter, Organic Rosa rubinginosa (Rosehip Oil), Organic Calendula officinalis (Calendula Oil), Borage Oil (Borago officinalis) Tocopheryl Acetate, Vitamin A Palmitate, Citrus paradisi (Grapefruit Seed Extract).